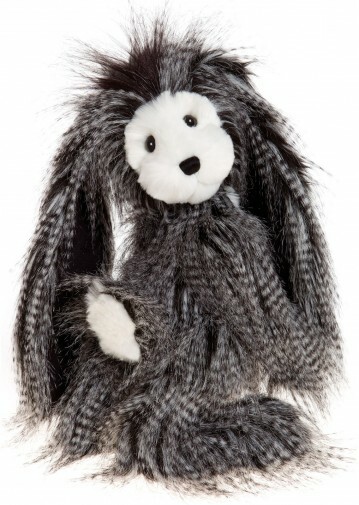 Bryony bunny rabbit is a fantastic character, with a brand new style of amazing plush. Her long-pile black plush coat is tipped and highlighted with silver, white and grey, while her face and tummy are powder-soft white plush. She has fabulous long ears and big paws to finish her look! Bryony bunny rabbit is from the Charlie Bears 2016 Collection.